Two new counties, including the one containing Moncton, are now high-risk areas for Lyme disease, the provincial government announced Friday in Saint John. 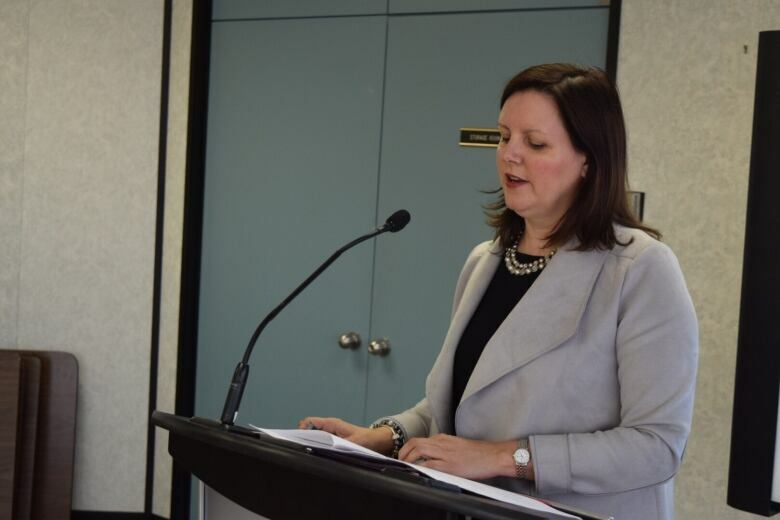 Moncton has joined the list of high-risk areas for Lyme disease, the provincial government announced Friday in Saint John. Two new counties, Albert and Westmorland counties, were added to the list because of research this summer on the expansion of the blacklegged tick, a carrier for the disease, the government said. Westmorland includes Moncton. "We've been monitoring this for several years," said Dr. Jennifer Russell, acting chief medical officer of health. "What we're seeing is an expansion of that territory. Now we're announcing two new counties." Lyme disease is caused by Borrelia burgdorferi bacteria and can migrate on the backs of other animals such as birds and mice. Symptoms include fever, headache, fatigue and a bull's-eye rash. "Early treatment almost always results in full recovery," Russell said. "If the disease is left untreated, the infection can spread to the joints, the heart and the nervous system." Russell said Lyme disease is known as an "emerging disease" and has only been reportable since 2009. New Brunswick had eight laboratory-confirmed cases of the disease in 2016, according to the provincial strategy. Places in New Brunswick where colonies of the tick were already identified include Charlotte County, Saint John County and Kings County. For Russell, the goal is to make people in the two counties where established populations were recently identified aware of the discovery. "We want people to be aware. (Lyme disease) should be on a list of things to consider," she said. "Whether you're a member of the public out in the woods or a member of the medical community who sees clients in your office or the emergency department with symptoms." "You increase … your chances of being diagnosed and treated early." 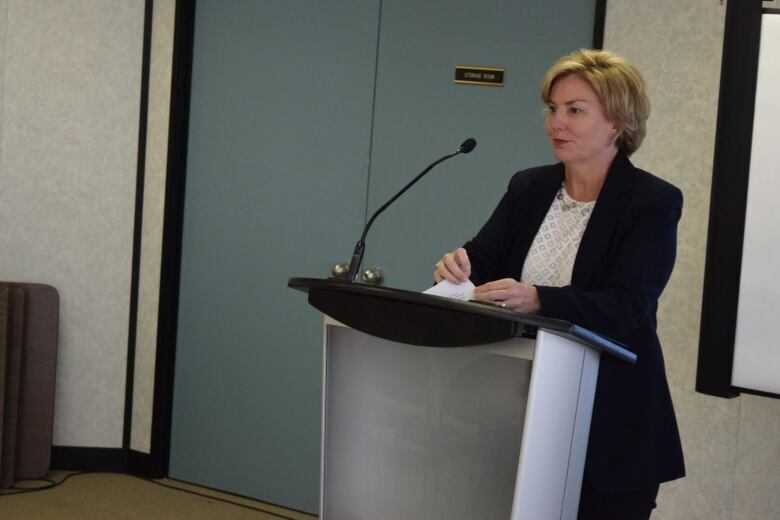 Karen Ludwig, the member of Parliament for New Brunswick Southwest, was present for the presentation in Saint John. The research identifying Westmorland and Albert counties as high-risk areas is the product of a federal-provincial partnership to improve field surveillance and tick collection over a two-year period. The New Brunswick Department of Health received $69,000 to conduct the research. Earlier this year, the federal government announced a framework designed to fight the disease. This framework includes establishing a national medical surveillance program, creating and distributing standardized educational materials for health-care providers and establishing guidelines for prevention, identification, treatment and management. But some Canadians, including some New Brunswickers, diagnosed with the disease say Canadian doctors are behind on the science, leading people who are sick to travel to the United States, where the disease is more common, to receive a proper diagnosis. "I know it's frustrating for those diagnosed with Lyme, in terms of current treatment and the long-term outcomes (of) it," Ludwig said. "Our minister would say, 'We're looking for the best evidence possible. We have to work in true collaboration with all the stakeholders so we get the best outcomes for Canadians.'" "The framework … is the beginning of a long-term relationship and in collaboration and not the end." While an expansion of the tick population was expected, it was not known exactly where the insect would be found. Nova Scotia has seen the tick migrate up its Bay of Fundy coast, but with climate change being a complicating factor, it wasn't certain whether New Brunswick's ticks would follow. 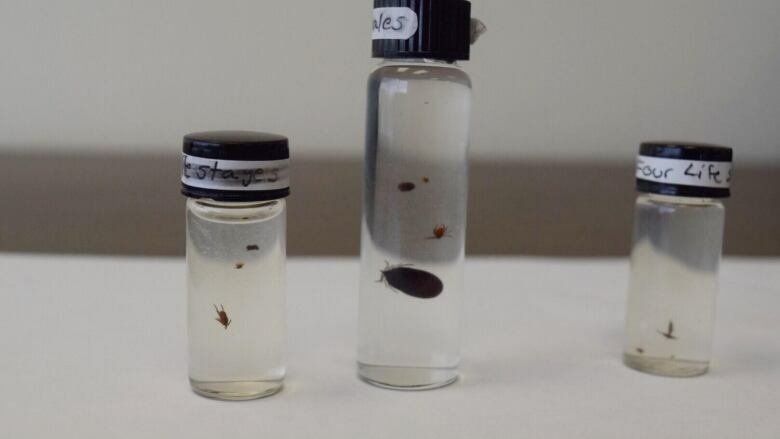 "We know blacklegged ticks are here and they will continue to spread to more areas in the province," Russell said. "What's next?" We continue monitoring and we continue to get the message out."